AC Milan could risk seeing Lucas Biglia sidelined for a significant period after he was ruled out of the win over Genoa on Wednesday night. The 32-year-old has again been a fundamental figure for the Rossoneri so far this season, having made 11 appearances in all competitions to form a focal point in their midfield. Given the lack of quality and depth to fill that role, the last thing that Milan need is to be without their experienced midfield leader for a lengthy period of time, but that’s exactly what is currently feared. As noted by Sky Sport Italia, the Argentine international sustained a muscle problem in his right calf before the Genoa game as was subsequently ruled out. However, perhaps more worryingly, he was seen with crutches after the game and is set to undergo an MRI scan on Friday to determine the full extent of the problem, as per the report. 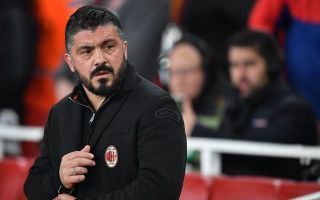 Milan will be desperate to see him avoid being ruled out for the foreseeable future, but ultimately the signs don’t look particularly positive thus far. Tiemoue Bakayoko stepped in as a replacement against Genoa, and although the Chelsea loanee did show improvements from his recent outings, he was guilty of making a huge error to gift the visitors their goal in the 2-1 win for Milan. In turn, there is likely to be some concern over his ability to now fill that role on a consistent basis moving forward, and with the January transfer window of no use in the coming months, Milan could face a real problem in the heart of their midfield through November and December.